If Milo Yiannopoulos did indeed find a way to slip back into the Twitterverse, reports say the door has been slammed shut once again, just as the transphobic race-baiting conservative launches his big comeback with millions of dollars from secret financial backers, something he’s calling Milo, Inc.
That account was tweeting announcements about Yiannopoulos’s first public appearance since his February news conference to announce his resignation from Breitbart and the cancellation of his six-figure book deal, following the revelation he defended pedophilia in prior interviews. 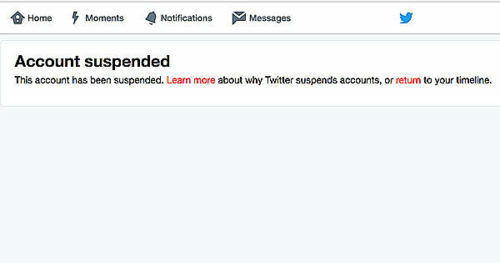 It was suspended by Twitter as of Thursday evening. Yiannopoulos’s website also features images from the campus of the University of California-Berkeley, with signs promoting this so-called “comeback tour.” Berkeley, of course, has been in the news this week because of the on-again, off-again campus address by conservative pundit Ann Coulter. And it was just two months ago that riots erupted on that campus that forced the cancellation of a Milo speech. Until the Twitter account was terminated, it had 11,500 followers and 462 tweets, according to Business Insider, and it was only created a month ago. 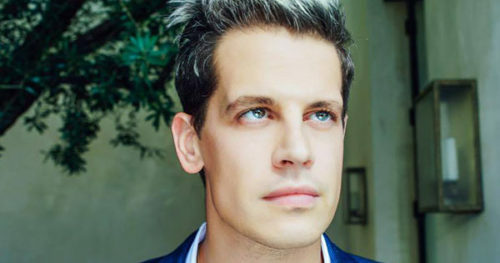 After being suspended twice, Twitter officially banned Yiannopoulos in July 2016 for violating the terms of service, specifically the rules that prohibit the targeted abuse of individual users. His messages to and about Saturday Night Live’s Leslie Jones and about her role in the Ghostbusters reboot drew a flood of attacks on Jones from like-minded supporters, but worldwide criticism of the hate campaign sparked Twitter to ban him for life. Twitter officials did not respond to multiple requests for comment, and a spokesperson declined to comment to Business Insider. Yiannopoulos has not replied to messages seeking his comment as of press time.